When restructuring the shared drive network, it is likely that there will be a considerable number of historical documents that need to be kept and archived. Often, records that are considered permanent, such as financial and personnel records, must be retained by the organization. Other records, such as strategy and business plans, provide history and background to an organization. Former employee work files (not their personnel file) that have been reviewed do not have to be accessible any longer but are still important to keep if future access is needed. Be cautious moving historical data onto external hard drives. Although external hard drives are plug and play devices, once data is moved to an external hard drive it becomes forgotten and less accessible to staff. The following are ways to manage historical files on a Shared Drive network. These options should be discussed with IT and management before implementing an option. Integrate into the file structure: Within the file structure, data can be organized chronologically to archive historical data, as shown in the screenshot below. Create a “historical” file folder: A folder labeled Historical or Archive can be created in the first line of file folders. Within this folder a mirror image of the first line of folders (i.e., divisions of an organization) can be made. 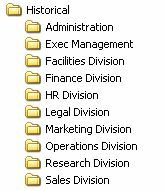 When documents become outdated for each division, they can be moved into the same topical folder in the historical folder. Or sub-files can be designed by year. 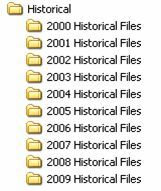 As files and documents become outdated they can be moved into the appropriate historical year folder. Archive them on a separate drive: Another option to manage historical data is to create a separate drive allocated on the server solely for archived and historical information. The structure can be designed in one of the options recommended above. Keeping the archived data on the server enables the data to be accessible quickly. 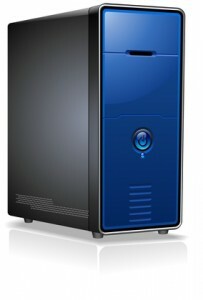 It also will update files and documents automatically as software and operating systems are upgraded. Another option is to store historical and archive data on an external hard drive. Once you get the shared drive reorganized it is important to establish accountability and responsibility to help maintain file structure and organization. As organizations evolve and change, so do file structures and record guidelines. It is essential for a person or department be accountable for the documents, records, and knowledge of the organization to maintain good record keeping. This can be the IT department or a person can be identified in each department or area of the company or organization. This person could have a title called ‘Organization Record Manager’, ‘Department Shared Drive Manager’ or ‘Electronic Record Coordinator’. 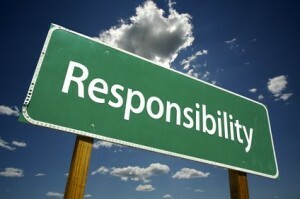 Establishing this accountability will help an organization to maintain good structure and organization on the shared drive as well as create accountability for all staff to be responsible for good record and file keeping for the organization. When developing a file hierarchy to organize electronic documents it is important to consider if a structure requires multiple lines of sub-directories. If so, it is best to encourage the use of short folder names to stay within the Microsoft maximum file name and path size of 255 characters. It is also important to be consistent with type cases. Some organizations might prefer all file folders in caps; whereas, others usually make the first letter of the file name cap only. File names and document names are not case sensitive within Windows or Mac systems. 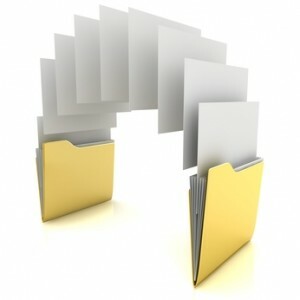 The First Line: Generally, a major department or division of the organization should organize the first line of files. Often teams or departments begin creating their file structure and taxonomy with the second line of files. The Second Line: The second line of files should be organized by the sub-structure of the division or department which includes a listing of their sub-departments, branches, and/or major functional areas. Also, the second line could include general information for the division including administration, forms, organizational charts, strategic plans, etc. Choose a sub-filing option that will be the first reference point to access information. 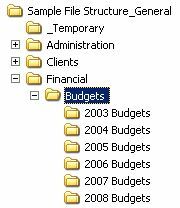 For example if there is a second line folder called “Budgets,” the users could create the third line sub-file by year, by area within the department, or by location of an office. Again, it is important to choose the sub-topic method by the first reference or access point. In this example, it is more common with budgets that the first reference point is by calendar or fiscal year, but that could be different for other organizations. To learn how to organize electronic files and the shared drive, download the report How to Organize Electronic Documents on Shared Drive Networks. Or you are welcome to contact us and we can assist you. It can be beneficial at the beginning of a New Year for an organization to ask divisions and departments to do an initial scan of the shared drive to purge and delete un-necessary files and documents. Make sure users only purge those files and documents they have direct responsibility for maintaining. 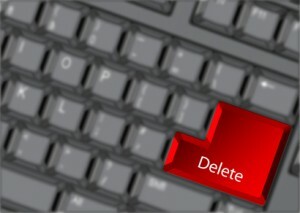 Often, employees will be hesitant with the lack of clarify of what to purge and delete. Ask users to review these files and remove all documents and file folders that no longer have significance, relevance, or are past the legally required record retention. If record retention guidelines exist, make sure to include them in the communications. Impress upon users that if there is doubt, leave the files and documents on the shared drive so they can be reviewed by others. Be sure to remind users that if documents or files are deleted from a shared drive, the files will be deleted permanently and will not go to a “Recycle Bin.” The IT manager or Help Desk must be contacted to restore any deleted files from the shared drive.